Applicable to 114 115 116 123 and 126 Chassis, years and models listed above. Troubleshooting an annoying shift problem must first start with the vacuum modulator. This vacuum control unit mounted on the side of the transmission must be tested and adjusted to specs BEFORE you move on to other adjustments. Unfortunately this can not be done by guess or by feel. 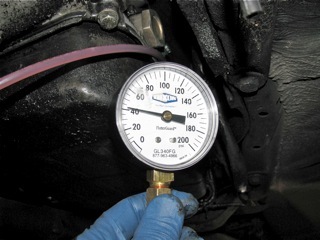 There is a pressure port on the side of the transmission that you must tap into and connect to a pressure gauge. The engine must then be started and the modulator adjusted to a set pressure for that specific transmission. It is not a difficult job with the proper test tools and information, and can be done in less than an hour. Too much pressure and abrupt shifts will occur. Too little pressure and you may experience slipping or flaring during shifts. Since modulation pressure is taken directly from the transmissions internal working pressure, the test can also indicate the health of the primary pump. My kit with help you do all the above with ease. It includes a modulator pressure testing gauge with hose and attachment hardware and comes with an illustrated 21 page instruction manual. 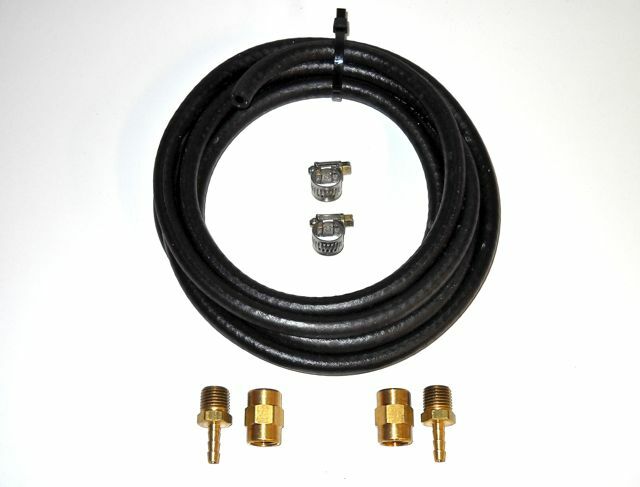 My eight foot long extension hose kit will allow you to mount the gauge on the dash of your car for proper road testing! If you are experiencing abrupt shifts it could be that your modulator has failed. That is where you should start. Test the modulator with a vacuum hand pump tester to make sure it holds vacuum. If it does not, you need to replace the modulator. IMPORTANT: There is also an upgraded modulator available that INCREASES SHIFTING PERFORMANCE. Unfortunately you can not tell visibly if a modulator has been replace with the upgraded unit. If you have no maintenance history that your modulator was updated and are not happy with your transmissions shifting performance then I would recommend you install a new modulator. Modifications included improvements to the vacuum chambers and thrust pins. Enter transmission modulator in the search box to view all our upgrades. BUT YOU CAN'T STOP AT JUST INSTALLING A NEW MODULATOR! There will be more work to do after installation. Modulator pressure will need to be tested and adjusted per factory specs and then vacuum repair / adjustments will need to be done to "fine tune" your shifting. If you are experiencing soft or flaring shifts the problem could be too little modulator pressure or too much vacuum being delivered to the modulator. This kit will give you everything you need to properly set your modulating pressure and to monitor it during shifts to see just how well your vacuum delivery system is working. The included manual will walk you through the process step-by-step. Using the short hose to set modulator pressure under the car. 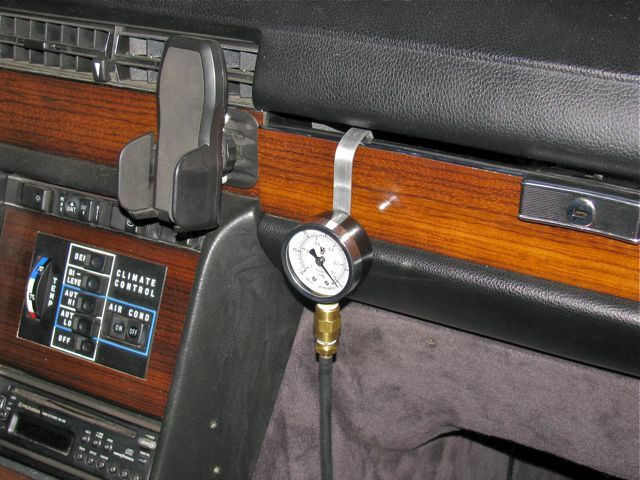 Using the extension kit to mount gauge on the dash for road testing.